I don’t mine repeating myself several times, unless you are helping someone to explain things. This is the post for my junior colleagues and for my team trying to dig for basics of Mutual fund , Asset management company , selection of funds and comparison of scheme with others. 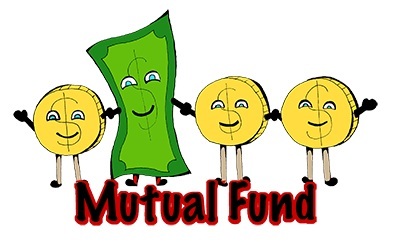 So friends, A mutual fund is a trust that pools the money of several investors and manages investments on their behalf. Legally it is like any other company you know of. Hence, the fund is also called a mutual fund company. The fund company takes your money and like you from other new investors. This is added to the money that’s already invested with the fund. Asset management company (AMC) – Investing and managing the collected money is a difficult task. The fund company delegates this to a company of professional investors, usually experts who are known for smart stock picks. This company is the Asset Management Company (AMC) and the fund company usually delegates the job of investment management for a fee. 1.Equity schemes These are further divided into Diversified Equity schemes, Sectoral Equity schemes, Equity Linked Saving Schemes (ELSS) and Index schemes. 2 Debt schemes These are further clubbed into Liquid or Money Market schemes, Gilt schemes, Income schemes and Monthly Income Plan schemes. Money is dear money. You wouldn’t put your dear money into any investment without fully convincing yourself. With a comparison with other schemes you can convince yourself whether the scheme you have chosen is best for you. Of course, while shortlists schemes through the advanced search you have already performed a comparison for some of the criteria on which mutual funds are judged. Time you enriched the comparison. For example, in debt funds, it is useful to compare the extent to which the growth in NAV comes from interest income and from changes in valuation of illiquid assets like bonds and debentures. This is important because as of today there is no standard method for evaluation of untraded securities. The valuation model used by the fund might have resulted in an appreciation of NAV. The expenses ratio can be compared across similar schemes to find out whether the fund is prudently managing its expenses. The size of the fund plays an important role here and a smaller fund generally has higher expenses per net assets managed. The NAV, returns and performance are important criteria that establish the merit of a fund but the only differentiating factors. It is prudent to also compare the risk-adjusted returns and the corpus size of the fund. The risk-adjusted return will help in evaluating what returns one can theoretically expect in the worst of condition. The risk is measured through volatility of the returns which is nothing but the standard deviation from the average returns. What are those factors that make schemes risky? And to what proportion is each scheme exposed to each of these factors? Identifying these factors or in other words, establishing the risk profile and then comparing it across schemes helps in creating, though theoretically, a relative scale of safety among the schemes compared. For debt funds, one of the factors could be the periodic changes in the interest rate environment, which affects credit quality of the portfolio and brings about fluctuations in the NAV. For equity funds, it could mean the volatility of the NAV with the ups and downs in the market or the percentage exposure to smaller companies. The last definition of the post NAV is the net realizable value of each unit of the scheme. After netting off liabilities from the asset value and dividing by the total number of units outstanding we arrive at the NAV. Caveat: Don’t Follow the Herd / Don’t Rely on Tips ” Invest at the point of maximum pessimism” quote by Mr Templeton.